Two; the surface of the domestic terminal is 10,054 m2; the surface of the international terminal is 25,015 m2. Surface: 88,445 m2, with 11 aprons、7 remote aprons and 5 helipads. 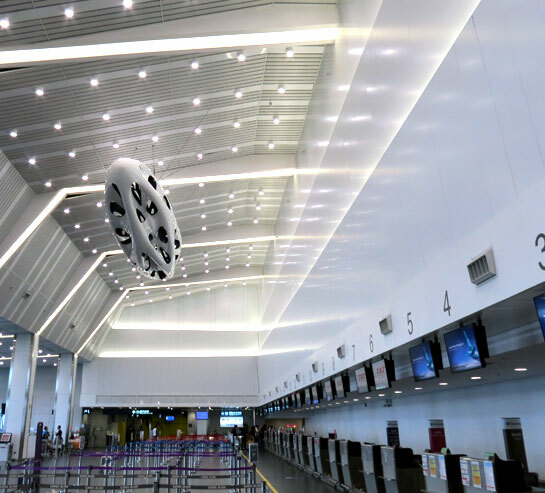 It has integrated the imagery of hub with the concept of flight taking off to symbolize Taichung the hub of Asia-Pacific. Besides, the emblem also shows the Chinese character of “Chung”, which comes from “Tai-Chung”. 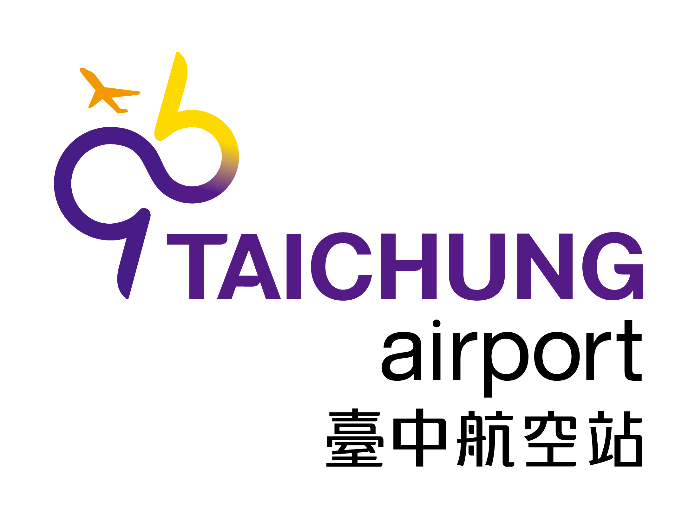 Between the aircraft and the aviation arc, the color of orange represents the vitality of Taichung City, purple represents a stable development, and yellow represents the warm and passionate service.